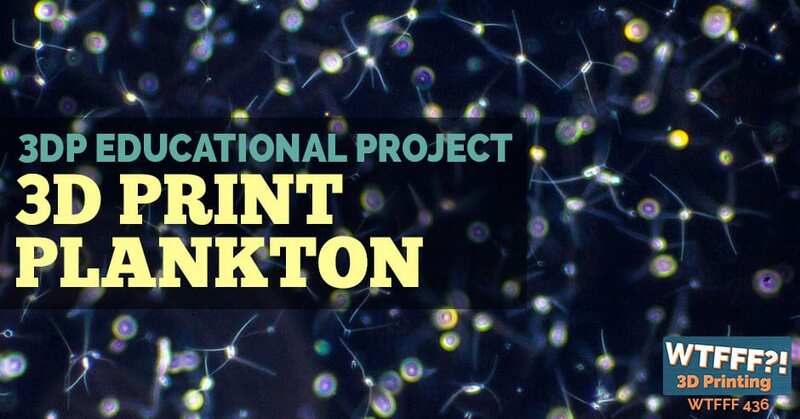 Today, we’re going to talk about 3D print plankton by Planktomania. Their website is a great resource for teachers and students out there. This just shows how 3D printing creates endless possibilities specifically in for education. Something micro can now be printed and held and experienced, taking the learning process to a whole new level. Hi, this is Tracy and Tom on the WTFFF 3D Printing Podcast. We are going to talk about plankton today. Bet you didn’t see that coming. We’re going to talk about 3D print plankton. I was like, “We’re going to talk about 3D print plankton today?” The reality is, this is a really cool full service educational project. I think it’s not, whether you care about plankton or you want to teach something else completely different, the way they’ve packaged together this project, including the 3D print aspect of it, I think is the fascinating part that we want to look at. It is rather well rounded as a project in totality. This goes way, way back in life science when you study plankton. Evidently, they have the whole website. It’s got Planktomania, a Planktobox and all this stuff. I can understand science teachers getting pretty serious about their plankton. Not exactly my forte, but that doesn’t mean anything about it. They are excited about it and there is a reason for it. They’ve got some really cool videos. They’ve got supportive tools. I love the way that 3D printing is just worked in there. It’s not the primary purpose of it but it’s worked in there to give a new viewpoint, a tactile visual viewpoint. 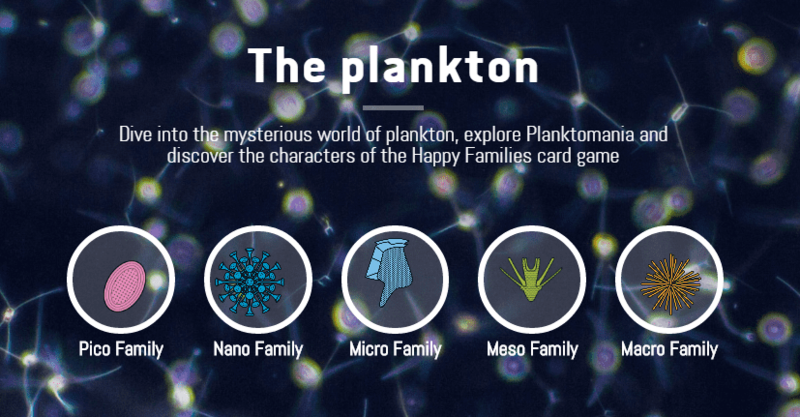 Dive into the mysterious world of plankton, explore Planktomania. First of all, who knew there were so many different kinds of plankton? Goodness. Obviously not my area of specialty. Wow, there’s a lot of different kinds. Certainly they’ve created a resource here on this website, Planktomania.org, which really goes into it. They have Plankton TV, the Planktobox, which includes actual 3D models of plankton that you can print out. That’s the 3D print experience aspect. It was 3D prints of planktonic organisms. That’s really the thing that you want to explore, is understand the differences between the organisms. I think this is really an interesting idea when you’re studying something on a cellular level or something micro, something really small. Isn’t that amazing, to be able to print it out larger, touch it, turn it, see the differences between the two that maybe aren’t as visible otherwise. I think that that’s the opportunity here. No longer do you really need, the only way you’re going to look at some of these things are either pictures on a book or you’re going to have slides you can look at in a microscope. Not that there’s anything wrong with microscopes, and that’s an experience to be had, but still it’s rather two dimensional. To be able to have a three dimensional experience, larger, to be able to look around all sides of this thing if you were to 3D print out a model, that’s pretty damn cool and I think would be a tremendous advantage in a learning situation. I was thinking back about our Scan the World episode that we did where we’re talking about scanning huge sculptures and things in remote places in the world where you can’t see them. Is there an opportunity to be going from big to smaller so you can check it out, it’s going from smaller to big to check it out. There’s so many opportunities to create a great educational project that way. Not only that, just talking about the very well rounded nature of this particular organization, this website and what they’ve been doing and their passion being all things plankton, they’ve created apps for virtual reality and augmented reality where again you can explore the different kinds of plankton in those new modern ways, which hasn’t been available that long. We’ve talked recently about the content gap, not only in 3D printing but in VR and AR applications. These are very exciting new fields and devices and experiences that people can have. But you’ve got to create content for it. You can download 3D plankton models and print them yourself. What I’m really impressed by with this organization is, they call it Planktomania VR, but the whole organization of Planktomania, they didn’t just dip their toe in the water and offer you one way to experience this. They’ve really gone to great depths to make every different possible way you could experience it and help teach it or learn it. Even games and things. My gosh, this is a great example. If you’re going to focus on something and you’re passionate about something, how you’re going to get the word out and how you’re going to make it an experience that would relate to many different kinds of people, this is a pretty good example of it. This comes from a French association. My French is a little bit rusty, but it looks like it’s the Research of Education for the Environment in Brittany, REEB, which is the company, and that they’re an observatory for plankton. That makes sense. This is what they’re doing. How forward thinking of them as an organization though. I think everyone needs to take a look at that and say, “What can I do with my organization? What can I do to create a project around my particular passionate topic?” This is a good model for it. Very impressive. What could be some similar but alternative subjects that you could work on something like this to do? Plankton is so finite. DNA, there’s a lot of medical applications I could see. Or just with different science disciplines. Understanding the difference in DNA between a frog and a fish and seeing where that exact chain that’s different and seeing what it physically looks like in front you. You can see it on a computer, but holding it in your hand and spinning it around and really thinking about might be very useful for tactile learners. It’s interesting how it’s a very micro world here that’s being eliminated through this organization, this website. I was thinking about the unique opportunities of 3D printing to blow that up in scale and help you learn that. There’s got to be a lot of other applications that are similar to that. By the same token, other very large ones. We talked about the geographic scans, you can do mountains, volcanoes but make them very small and experience them and have a different viewpoint on them. Look down on them, look from the side on them and see the differences. I think there’s a lot of exploration that various education programs can do and projects that you can create that really gets using these tools in the classroom, tools to show a different viewpoint, tools to teach things and really immerses it in the classroom. Which I think is the ultimate goal. We’ve been talking a lot about that lately. I think when you bring 3D printing in and you bring VR and AR, any of these technologies, and you start to immerse our kids into the programs that just have them as a natural extension, it becomes second nature. They have detailed information about each type of plankton. It also sparks the excitement for, “That was really cool. I wonder if I could 3D print this?” Then they go and explore and then they go deeper. Because you got in through their passion point. It may not be plankton. That may not be their passion point, but I’m sure you can find one and then looking at creating supporting structures and supporting project systems for it. Really, I think that’s admirable. It’s reminding me of a conversation I had recently with a childhood friend of mine who’s a teacher in Connecticut. His school has just been getting their first couple of 3D printers. He asked my opinion, whatever printer should they get. Of course that’s the same question we always get. Not easy to answer. They did get some 3D printers. They were finding that it was so valuable. Instead of the way it used to be decades ago, when a teacher wanted a visual aid for something, they would have to really go out and try to find a visual aid that made sense. It wasn’t so easy to do pre-internet and all that. Now, forget going out and finding one that exists and buying it. Now you can just go and research and find a model and download it and print it out. You can have a different visual aid in your class every week. That’s to me one of the wonderful things that desktop 3D printing and the entire industry and eco systems that exist around models are doing for students. That’s just very useful and helpful, especially think in rural areas of the country and all that where you don’t have as many resources, boom, you can have everything that people in more fortunate districts that have bigger budgets in more urban areas or wherever. You have access to all the same stuff. Creating that equality through technology is really an important part of equalizing our education across our country. I hope that you guys find some exciting projects, inspiration here and figure out what you’re going to do with it. As always, we’re always looking for cool and interesting ideas for educational projects. It’s one of the key things that we keep looking for here on 3D Start Point and the WTFFF podcast. Please, bring up your suggestions. You can send them to us on Facebook or Pinterest @3DStartPoint. I’d also like to say if you’ve got another education project or experience where you found that 3D printing has made it more possible, more fun, or for any reason. Let us know what you’re doing. We’d love to hear about and potentially feature it on a future episode. I know there are a lot of you educators and/or students listening out there. We’re always here. We’d love to hear from you. Thanks again for listening. This has been Tracy and Tom on the WTFFF 3D Printing Podcast. stumbled upon your 3d plankton story while Googling how educators are using 3d prints of microscopic organisms, in their classrooms. I was wondering if you ever got any response to this; I’m very interested. We haven’t – would you like to submit one?